For its first 18 years of existence, QDP’s ISO 9001-based quality system ensured product quality from beginning to end of the manufacturing process. Stew McElhone, President of QDP, as an accredited ISO Lead Auditor, was instrumental in the setup and maintenance of the original Quality System. Because of this, QDP was able to achieve ISO 9001:2008 Certification in nine months, from onset to final audit. UPDATE: QDP is now ISO 9001:2015 certified. 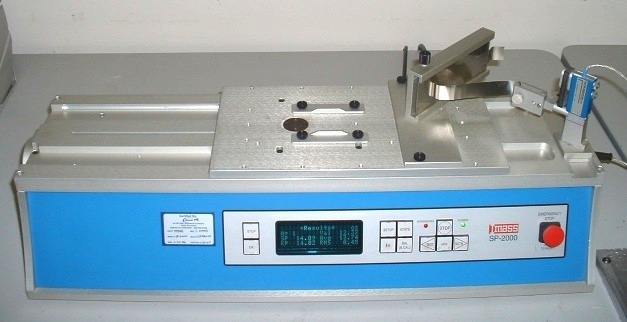 QDP has an in-house I-MASS 2000 Peel Adhesion Tester which measures peel adhesion values on pressure-sensitive adhesive tapes using either one of two Standard Test Methods – ASTM Designation D3330/D3330M or International Harmonized Standard PSTC-101. Where required, QDP has capability of manufacturing in controlled Class 10,000 (ISO Class 6) Clean Room Environments, utilizing both Softwall Clean Rooms for larger operations and Laminar Flow Hoods for smaller processes.